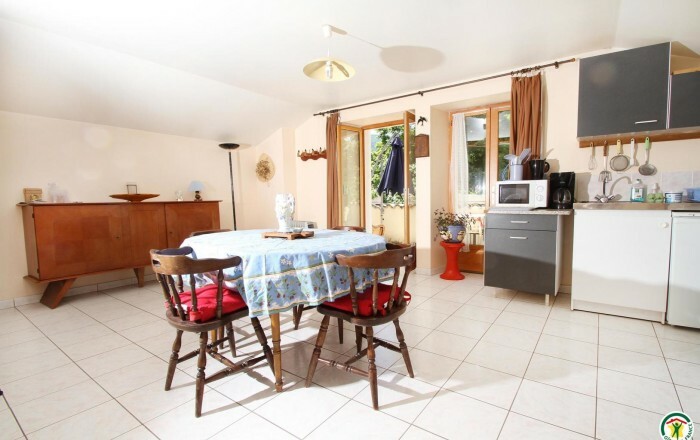 Separate studio apartment beside river Adoux, adjoining owner's house and a long-term rented property. 1st floor access. Kitchen, living/sleeping area (single bed with pull-out bed below) (double bed), shower room.